Everyone ends up hitting into a water hazard at some point. 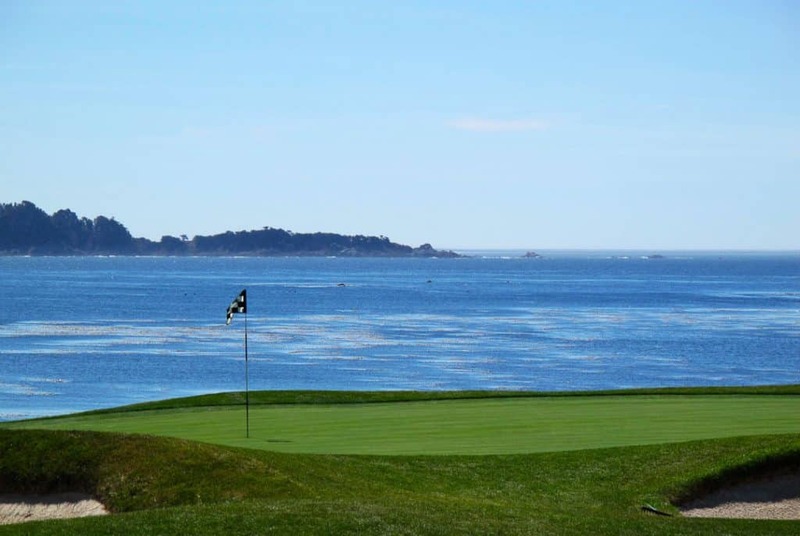 That beautiful lake or oceanfront that makes you want to play the course can also get in the way of a good score. But if you know the golf rules on water hazards then you may be able to give yourself an opportunity to save your score. There are more options than most golfers are aware of and knowing all your options after hitting into a water hazard can make a big difference. In the USGA Rules book, it is Rule 26 (and the over 20 decisions clarifying the rule!) that covers water hazards. You can certainly check that out if you want to learn every detail. Here I’ll cover the basics that you need to know to make a smart decision after hitting into a water hazard. 1. Is Your Golf Ball In The Water Hazard? The first thing you need to do is determine whether your ball is actually in the hazard. According to the rules, in order for the ball to be considered to have gone in the hazard, it must be known or virtually certain that the ball is in the hazard. “Virtually certain” means there is no other place it could be. Incidentally, Rule 27-1 is the rule about how to play after a lost ball. If it is possible the ball could be somewhere else, then you have a “lost ball” situation and not a water hazard situation. Yeah, this rule is a little rough. 2. What Kind Of Water Hazard Is It? Once you have determined that the ball is in fact in the hazard according to the rule, you must determine what type of water hazard it is. There are water hazards and there are lateral water hazards. You can often see water hazards in golf courses that haven’t had water in the for years. That doesn’t prevent it from being a water hazard. So make sure you are following the right rules. That means that if a water hazard is not defined as lateral either by markings on the course or specific rules on the scorecard or it is not possible to drop the ball behind the water hazard, then you have to play it as if it were a standard water hazard. This is an important distinction because, as you’ll see below, if the hazard is deemed lateral, then you have more options as far as where you can drop the ball. 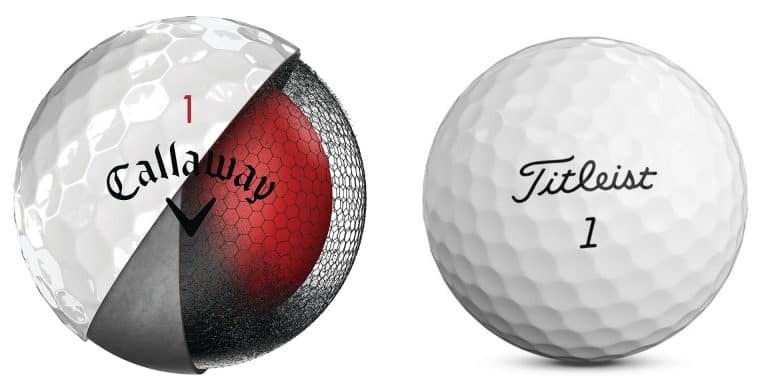 Now that you have figured out whether your ball is in the hazard and what kind of hazard it is, you can determine the relief that is available to you and which one you should choose. That means that the shot you hit in the water is one stroke, you add a penalty stroke, and then you are hitting a third stroke (if it wasn’t your first shot then just start the count at the number of strokes you already have). Option (b) is almost always better than playing the shot over again. As long as you hit the ball in a generally forward direction, it should be closer to the hole than hitting the same shot you just hit. An exception to this is if you are hitting off the tee and the only ground between the tee and the water is rough or unplayable. Then you’ll be better off teeing it up again. Of course, keep that in mind before hitting your first shot. Trying to cut a corner of the water too close can put you in a bad position if it goes in the water. Instead play a little safer over some fairway when possible so that if you do end up in the water, at least you have a decent spot to drop the ball for your 3rd shot. There are a few things you want to keep in mind as your ball is heading towards the water. When you hit into a lateral hazard you have additional options available to you. Option (i) is similar to the option under section (b) except that you don’t have the option of going back from the point where the ball crossed the margin. However, option (ii) is one that many inexperienced golfers either forget about or are unaware of. If you can get to the other side of a lateral hazard (for example in the case of a stream running from tee to green along one side of the fairway, then you may be in a better position. You may find the ground to be more forgiving on the opposite side of the hazard, giving you a better lie. You may also be able to use this rule to avoid a tree that is in your way on one side of the hazard and not on the other. Another benefit of this is to give yourself a better stance. Often the ground is sloping down towards the water hazard. In the case of a stream on the left side of a fairway, that means dropping two club lengths away from where the ball rolled in can leave you with the ball above your feet. On the other side, the ball would be below your feet. I know I am much more comfortable hitting a shot with the ball below my feet than above, so all other things being equal, I would head to the other side. Finally, don’t forget that you can still use Section b and go back as far as you want from the point where the ball last crossed the hazard. Most likely this takes you to the other side of a lateral hazard (if there is land on the other side) which can get you even further away from things like trees or uneven ground. Now that you know the rules, you can implement them into your course management strategy. Everyone has seen PGA Tour players take off their shoes and socks and smack the ball out of a water hazard for a miraculous recovery shot to save par. That may look great on TV but for the average golfer it is rarely a good idea to attempt this kind of shot. First, the players behind you shouldn’t have to wait for your wardrobe change so that you can keep those orange Ricky Fowler pants clean. Second, the chance of success for you compared to a PGA player is MUCH lower. Chances are you are going to waste a stroke trying to get the ball out only to have it remain in the hazard or go deeper into the hazard. So here are a couple of guidelines to help you decide when to hit out of a hazard vs. taking a drop. If the answer to any of these is NO, then take the drop. If you hit the ball where you intend to hit it, will the ball get to the green in less strokes than if you took a drop and hit it? So if your options are to take the drop and reach the green from the drop OR hit it out then still need another shot to reach the green, you aren’t gaining enough by hitting out, only increasing the chances of a big number. Is at least half of the ball above the water? It is really hard to hit a ball out of water if it is submerged. Not only will you make a mess of yourself, you are much more likely to push it deeper into the water rather than hit it out. Can you make the shot you are intending more than 75% of the time? Play the odds here. Remember that a drop can cost you one stroke but trying to hit it out and not pulling it off can cost you 2, 3, or even 4 strokes. So unless you have high confidence in making the shot, the odds say to choose the conservative play and take the drop. Now of course all of this changes depending on the situation. 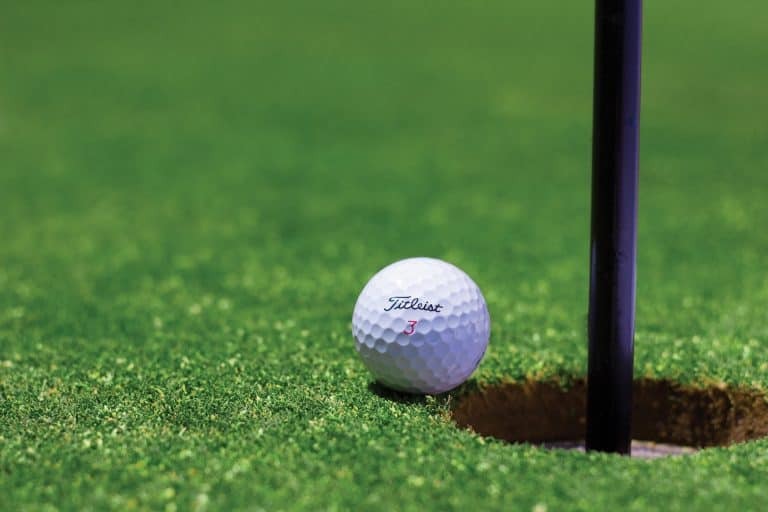 If you are playing a match and are one stroke down on the 18th, then maybe you need to be a little more aggressive, but without circumstances like that, be smart, know the rules, and you can find yourself shooting lower scores overall.